When the “War on Terror” was launched in 2001, mainstream media – especially cable TV news – started a parade. It was a narrow parade of hawkish retired military and intelligence brass promoting war as the response to the crime of 9/11, predicting success and identifying foreign enemies to attack. I witnessed the parade of disinformation from inside cable news, where I worked as an on-air contributor at Fox News and MSNBC at the beginning of the War on Terror. 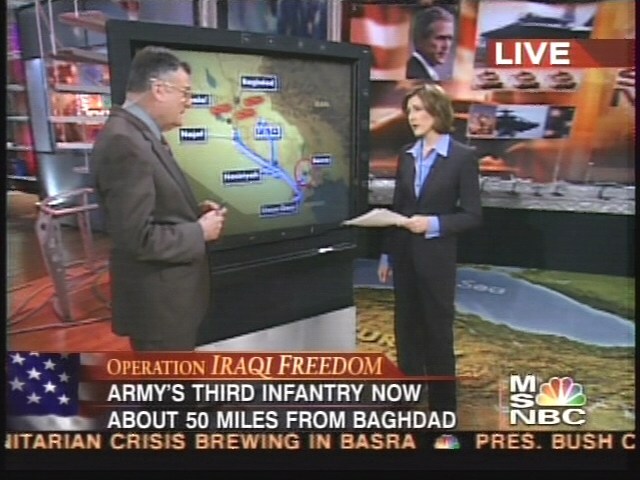 In fact, this parade eventually knocked me off the air – and out of my job at MSNBC, three weeks before the U.S. invasion of Iraq. It’s now been 15 years since the tragic invasion of Iraq. The huge mainstream media failure in the run-up to the invasion is taught in college journalism courses, including mine. Who can forget CNN’s Chief News Executive boasting that, before the Iraq invasion, he’d sought prior approval and received “a big thumbs up” from the Pentagon on the ex-generals that CNN featured as allegedly independent analysts? Who can forget David Barstow’s 2008 Pulitzer Prize-winning expose for the New York Times – based on 8,000 pages of internal Pentagon emails and transcripts – showing that network TV’s hawkish retired generals were not only being paid by big military contractors, but were being spoon-fed talking points and spin by the Pentagon month after month as they paraded on TV?